A taxi driver has been cleared of causing bodily harm by "wanton and furious driving" after a passenger fell out of his cab, ending up in a coma. Grant Parfitt, 19, fell from the black cab as it drove with its doors open in Bristol city centre last December. He was treated in hospital for nine months after suffering brain damage. Yasir Al-Kauraishi, 40, of Horfield, told Bristol Crown Court he thought Mr Parfitt and his friends were going to attempt to leave without paying. As Mr Parfitt and friends started to leave the taxi during a night out Mr Al-Kauraishi drove off with his doors open, the court had heard. Mr Parfitt and two friends were left inside the cab, and two others jumped clear. 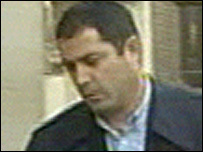 Mr Al-Kauraishi told police he feared for his safety as Mr Parfitt's friends hit and smashed the taxi's partition. Speaking on behalf of the family, Grant Parfitt's sister, Haley, 22, said: "We are very disappointed by the verdict. "The past 11 months have been a rollercoaster of emotions for us all." After the incident, Mr Parfitt was in a coma for four weeks. He also underwent an operation which involved removing a section of his skull to relieve pressure on his brain. After transferring to Frenchay, his condition improved and he has regained the ability to walk. He was finally discharged in September. 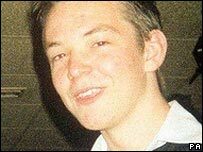 Mr Parfitt's family say they will now pursue a separate civil claim for damages against Mr Al-Kauraishi's insurers. Mr Al-Kauraishi, of Eden Grove, Horfield, was also found not guilty of a separate charge of dangerous driving after a disagreement with passengers in Henbury, Bristol, on 17 December last year.